The International Seagrass Biology Workshops are official World Seagrass Association events. WSA members facilitate the organisation of these biennial meetings and the WSA usually provides some financial support where possible. ISBW 13, and World Seagrass Conference: Singapore. 11–17 June 2018. ISBW 12: Nant Gwrtheyrn, Wales. 17–23 October 2016. ISBW 11: Sanya, China. 7–10 November, 2014. ISBW 10: Rio de Janeiro, Brazil. 25–30 November, 2012. ISBW 9: Phuket–Trang, Phuket & Trang, Thailand. 21–30 November, 2010. ISBW 8: British Columbia, Canada. August–September, 2008. ISBW 7: Zanzibar, Tanzania. 10–16 September, 2006. ISBW 6, and the Seagrass 2004 conference: Townsville and Magnetic Island, Australia. 24 September – 1 October 2004. ISBW 5: Ensenada, México. 7–11 October, 2002. ISBW 4: Corsica, France. 25 September – 1 October, 2000. ISBW 3: Pangasinan, Philippines. 19–26 April, 1998. ISBW 2: Rottnest Island, Perth, Australia. 25–29 January, 1996. ISBW 1: Kominato, Japan. 24–26 August, 1993. Mediterranean Seagrass Workshop – Sardinia, Italy on 18–22 May, 2015. 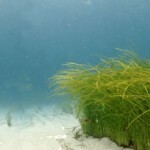 Mediterranean Seagrass Workshop – Morocco 2012 — Essaouira, Morocco, 28–31 May, 2012. Mediterranean Seagrass Workshop 2009 — Hvar, Croatia, 7–11 September, 2009. Mediterranean Seagrass Workshop 2006 — Marsascala, Malta, 29 May – 3 June, 2006.